March Madnesssssss is finally here! 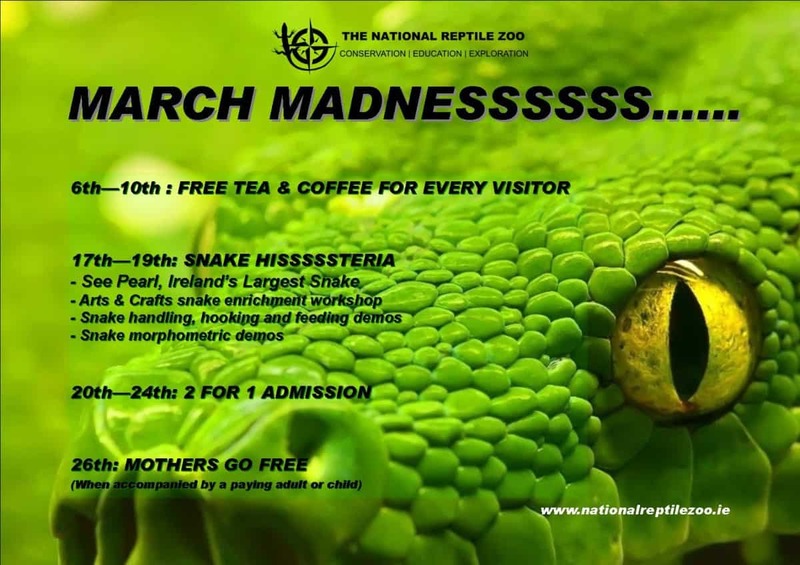 The National Reptile Zoo turns ELEVEN years old on St.Patrick’s Day and we’re celebrating all month long. Having a birthday month is a thing now, right?! 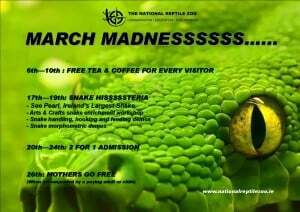 March 6 -10th: FREE TEA / COFFEE for EVERY visitor! Arts & Crafts – Snake Enrichment Workshop – Learn how all about snake habitats and make your own snake hide! Snake handling, hooking and feeding demos! Snake morphometric demos – get a behind the scenes look at how we weigh & measure our snakes during encounter sessions across the weekend! We are also planning some competitions in the Zoo and across our social media platforms, so stay tuned!